This weakly trailing or sometimes partially erect plant is usually found amongst grasses often on hillsides,; the stems bear long prickly hairs. Leaves to 10 cm long with 3-5 lobes and margins may be shallowly serrated. 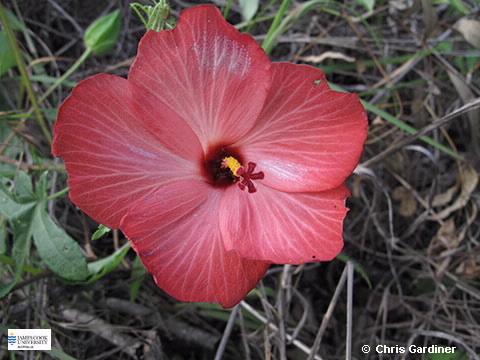 Flowers ‘Hibiscus-like’, corolla white to red with darker red centres, petals free from one another. Fruit a capsule about 2.5 cm diameter, hairy.